*The distances for grades B, C and D will be determined on the day. We will take into account the experience, fitness and ability of NEW riders before announcing the race distances. 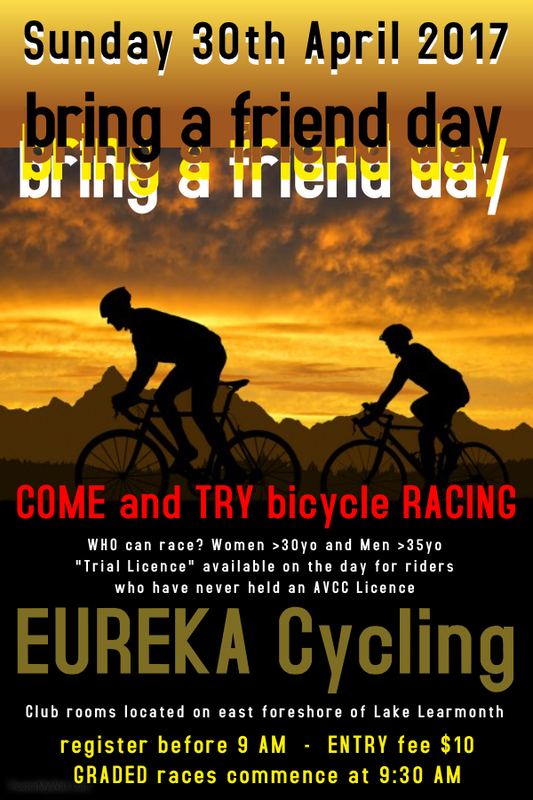 The EUREKA Cycling Club extend an open invitation to all eligible cyclists to come and race on Sunday 30th April. EUREKA Cycling is a “veterans” club. Veterans cycling is for MEN over the age of 35 and WOMEN over the age of 30. “Veterans” clubs offer a different perspective on bicycle racing – it is ALL about participation. At EUREKA, our riders range in age from 35 up to 73 years of age. 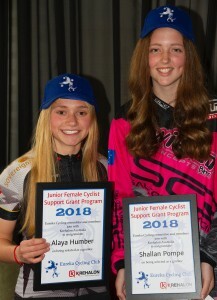 It truly is remarkable to compete against riders whom are so much older…or younger than yourself! Our style of racing encourages ANYONE with ANY degree of ability to participate – whether you are an “old pro” or a “first timer”, we have the racing that suits you. 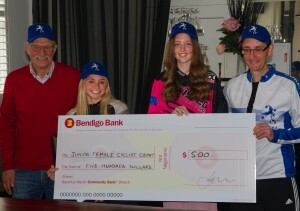 EUREKA Cycling races on Sunday mornings. Q. What distance do you race over? A. Most races are about 50 kilometres. We do race over some shorter distances during winter. Some races are a little bit longer. Q. Do I need a licence to race? A. YES. Every rider requires an AVCC (Australian Veteran Cycling Council) licence to participate. The licence covers insurance whilst racing and training. A. A licence costs $175. 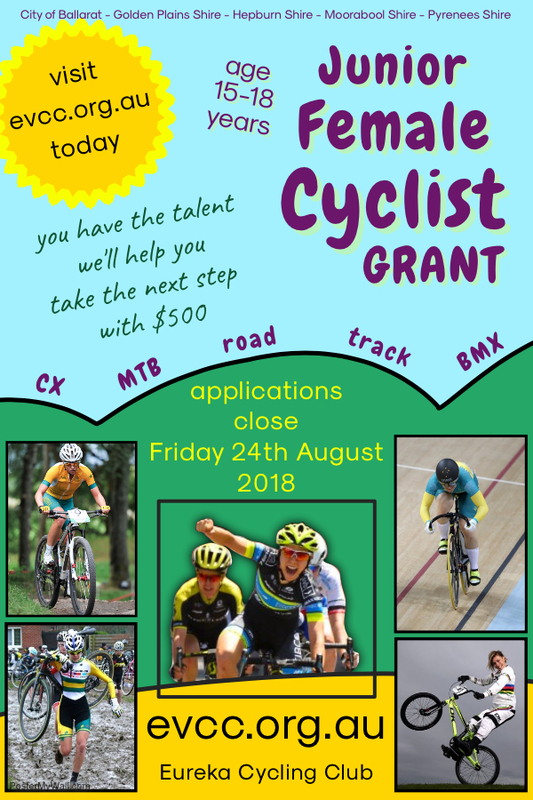 There is a race entry fee of $10 for each Eureka Cycling event. The $10 entry fee covers prize money for the race. Q. Do I have to wear a uniform? A. NO! Riders can wear whatever cycling kit they have. We do have EUREKA Club kit available to purchase at COST price. It is HIGH quality kit and it is GOOD value! Q. When do you race? A. We race on Sunday mornings and our season runs from late January to Early December. There are a few weekends throughout the season that we do not stage races on. Check out our race calendar on the website for event dates. Q. Where do you race? 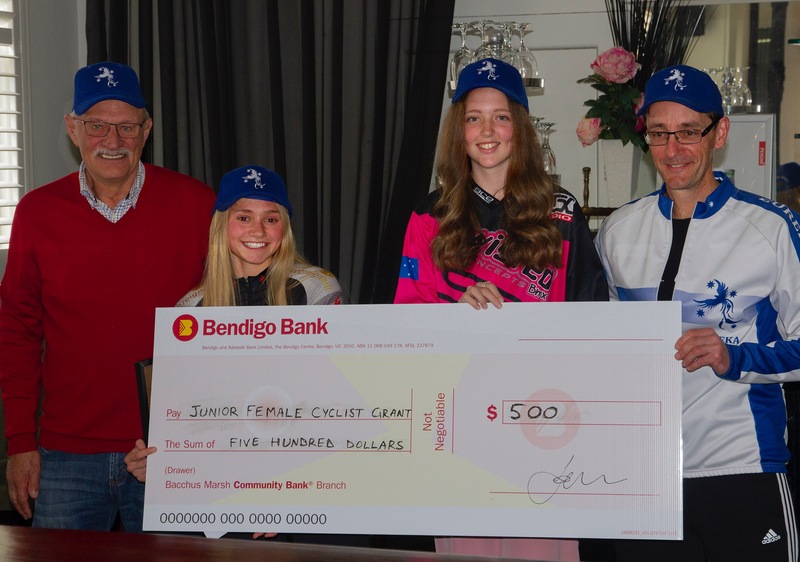 A. EUREKA Cycling has club rooms on the east foreshore of Lake Learmonth, which is about 20 kilometres north west of Ballarat. We race on the roads around Learmonth. A. Memberships are conducted online. Follow the link in the top right hand corner of our homepage. 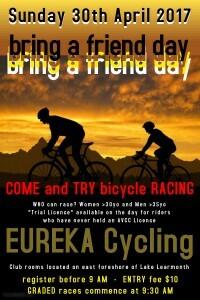 Licences are issued by the AVCC, nominate Eureka Veterans Cycling Club as your club. Q. Can I have a test race? A. YES you can! We offer a “trial” ride to EVERYONE who has never held an AVCC licence. Q. How do I get involved? A. The easiest way to get involved is to come out to a race one Sunday. Check our calendar (so that you don’t waste your trip) and visit us. 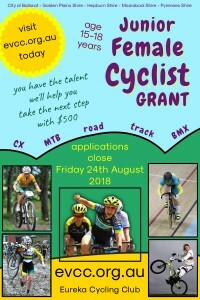 Bring your kit and bike – we can sign you up for a “trial” ride on the day! Q. Is there food or drink available? A. ALL our riders bring a plate of food out to share each week. Our kitchen staff warm up the food and place everything out ready for our return after the race – it is all FREE! We also have FREE tea, coffee and milo. Soft drinks are available to purchase ($2). A. Our club rooms have toilets, change areas and showers for both male and female riders. We also have a kitchen and we put on food and hot drinks after every race!